Resource Editor: How To Edit Resources in EXE Files with Resource Tuner. Resource Tuner lets you open Windows executable files such as .EXE, .DLL, Device Drivers (.SYS), OCX Controls, and several others. But still you will not be able to modify the actual code in any way: resources are separated from the program code. 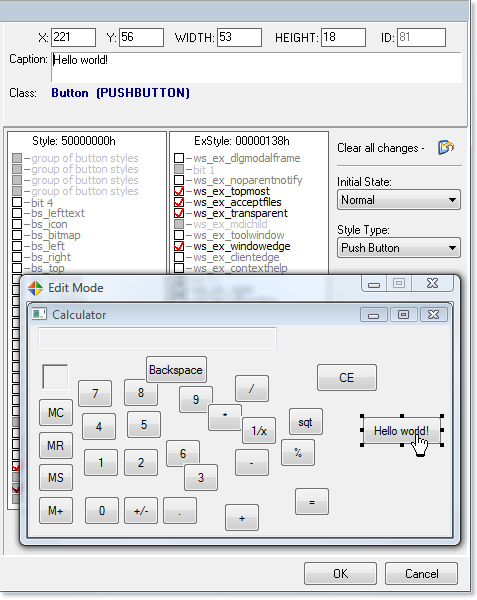 This way, you can make significant changes to the interface of the program while leaving the code untouched. You may also be able to translate the program interface into another language. Resource Tuner contains a number of methods for opening files. To open a file for browsing or editing resources, click the toolbutton to the left or click File > Open [CTRL+O]. The dropdown menu next to the toolbutton gives you quick access to recently open files. This list can be also accessed from the File > Recent Files menu option. When you open a file for browsing or editing resources, Resource Tuner shows you a directory-like structure of the embedded resources present in the file, such as images, sounds, dialogs, menus, XML data, HTML data, and toolbars. All changes made to resources can be watched on the screen and, if you are not satisfied with the result, you can return to the previous state. Any change you make can be restored prior to quitting the editor using the OK button. You also have an option to create a backup copy of the target file (enabled by default). So by no means you can overwrite any important files.